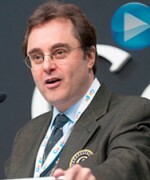 David Goldberg is a theoretical cosmologist and professor of physics at Drexel University in Philadelphia. 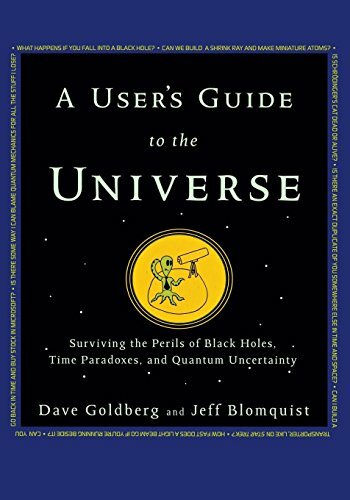 He is the author, with Jeff Blomquist, of A User’s Guide to the Universe: Surviving the Perils of Black Holes, Time Paradoxes, and Quantum Uncertainty (usersguidetotheuniverse.com). 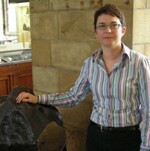 In your own work, you have been focused on getting people excited about astrophysics and cosmology. How exactly did you come across these five books, and what made you choose them? Most of these are somewhat older books that contributed to my own education. A Brief History of Time, for example, is a book that I read when I was in high school, or maybe even before that, and it was one of the books that got me really excited about cosmology. 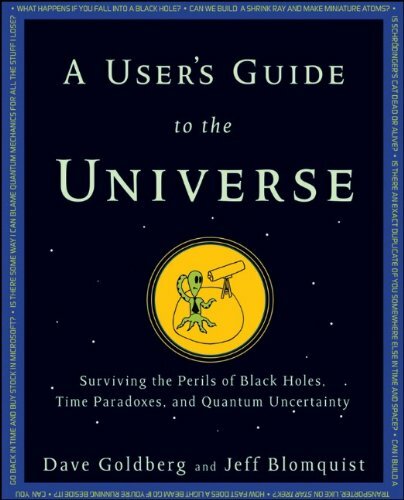 It has held up pretty well – we have discovered a lot about how the universe works since then, but it still gives you a very good overview of what we know. I can’t tell you how many people I’ve spoken with – my generation, or even a little younger – who basically got into astrophysics and cosmology because of that book. So that is a very central one. Another one that has to be on any list like this is The First Three Minutes by Steven Weinberg, a Nobel Prize-winner. 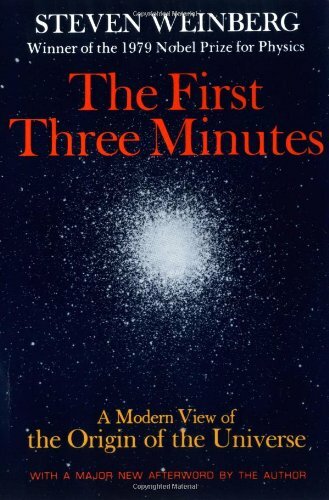 It’s a relatively slim volume, in which he describes what happened in the first three minutes of the Big Bang, as it was known and understood back then . We’ve learned a fair amount since then and some of the details in his original version are a little off, but the basic picture is still incredibly accurate. It’s just a really great description of the beginning of the universe, and almost every book on cosmology will include some variants of Weinberg’s description because he walks through it in such a clear way. The other three are books I read much later in my life, mostly because they were written much later, but I think they are really interesting resources. 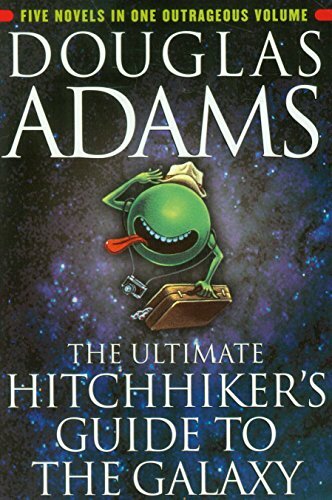 The Hitchhiker’s Guide to the Galaxy Trilogy – they always call it a trilogy even though there were four and then five books – obviously they’re classics, especially the first four, everyone loves them. The casual way in which Adams treats the universe as a whole – as something you can just sort of run around in – conveys a sense of excitement about the universe that really appeals to a lot of people. I’ve seen the movie of The Hitchhiker’s Guide to the Galaxy, and it offers a comical, not a serious, view of the universe, so I was wondering why you chose it? 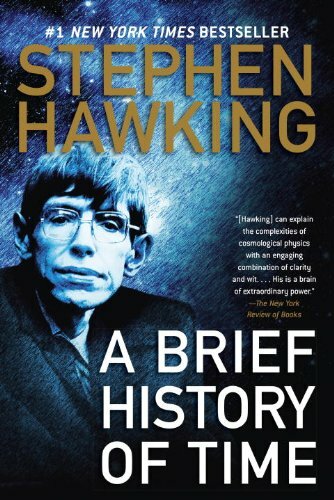 I noticed that both Stephen Hawking and Bill Bryson wrote a ‘history’, and I was wondering, judging by these titles, do cosmologists see themselves as historians, in a way, of space and time? Stephen Hawking’s book came first, and I’m sure that Bill Bryson very intentionally named his book to resemble it, but they’re very different books. Bill Bryson is not a physicist, and he makes a very big point of that: most of his books are travel writing, but he’s also written on the history of the English language, the British Isles, things like that. 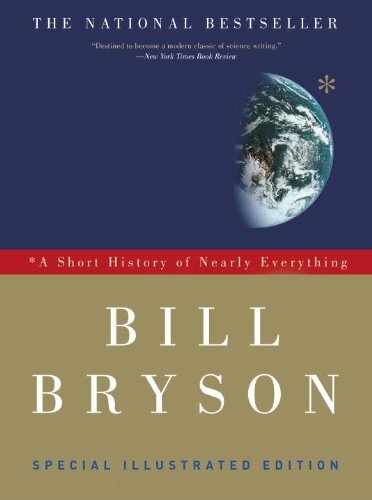 What I really liked about A Short History of Nearly Everything is that it gives an excellent account of a lot of the personalities, and the interconnectedness of important discoveries, in cosmology and elsewhere. He does such a great job of bringing together our understanding of cosmology, evolution, palaeontology, and geology in a very, very fluid way. He talks a lot about our understanding of how old the Earth is, and the relationship of that to how old the sun or the universe as a whole is, and those are cosmological questions. The Earth’s age is important if you want to know if there has been enough time for human beings to evolve or if you want to understand when and how the dinosaurs went extinct – everything interrelates. He tells a really nice story, intertwining seemingly disparate areas, putting our cosmological understanding into context. I can’t help but think of the ‘theory of everything’ – meant to connect all the laws of physics, a theory that so many physicists are searching for – when I look at the way he seems to be uniting all these different fields, and also at the title: A Short History of Nearly Everything. I think you have a point, because it’s definitely a major goal in many areas of human thought to try to fuse seemingly disparate ideas. It can be boring to concentrate on your own tiny little problem, and it’s important to see that our understanding of the world around us is not just cosmology and geology as totally separate fields. There is an important way in which one influences the other. Physicists are still today constantly looking for a theory of everything – this is one of the major, major goals of physics, because the idea of solving things in the same way is a really strong driving force. For example, we have a really good understanding of electricity and magnetism – a major triumph of mostly 19th-century physics, though today we’ve started to understand it even better as it relates to relativity and quantum mechanics. But we’re still working on how to fuse them with the other fundamental forces. Today, we believe we understand very, very well – the theory makes some excellent predictions – how electricity and magnetism are combined with the weak nuclear force. A big prediction that came out of that model is that there should be a particle called the Higgs boson – one of the things that they’re looking for in the Large Hadron Collider. Anyway, this idea that all of science is one, or all of physics is one, and that there are deep underlying unities, is a very consistent theme. Would you like to say a few words about Time Travel in Einstein’s Universe now? This is a book that I really enjoyed, written by a friend of mine who was influential in my education. It isn’t primarily about cosmology, but has a very interesting bit about how the universe might have started. 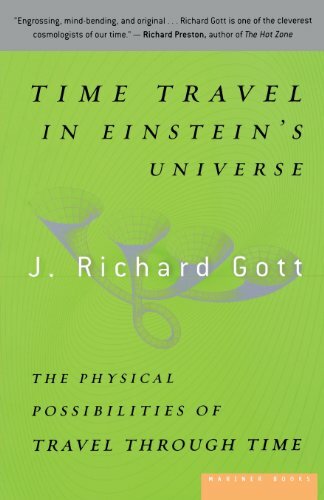 Rich presents some really fascinating ideas – he knows a lot about time travel and relativity – and it’s a great layman’s book for understanding a lot of concepts in general relativity. He particularly talks about a really interesting theory about the Big Bang that he and a guy named Li-Xin Li (who was a graduate at the same time as I was at Princeton) came up with. This is why it belongs in a cosmology list. One of the problems of the Big Bang theory is when you think about it – forget about the physics – there’s always the question of what happened before the Big Bang, right? And a straightforward understanding of how the universe works is, basically, there is no before the Big Bang. Time doesn’t exist outside the universe; time is part of space-time and so no universe means no time. But then how do you create a universe in the first place? Usually A leads to B – things are supposed to have causes. So there is a real problem: either the universe has always existed, in which case how could it really be eternal, or the universe had a definite beginning, but then how does it get started? This is something we don’t have a definite answer for – it’s something that puzzles physicists and lay people alike. Rich and Li-Xin Li came up with a really interesting model: a solution that is totally consistent with general relativity. It essentially amounts to a time machine through a mini-universe, if you like. Basically, it’s just a loop that goes around and around and around indefinitely, and it’s consistent. It’s hard for me to describe, so I’ll simply say the cover of his book illustrates it nicely. The basic idea is that instead of the Big Bang being a moment in time, it sprouted out from a continuous loop. In other words there never was just a single point: everything branched out from a loop, from a finite sized beginning. Again, it sounds like a hand-waving argument, except for the fact that it ends up being a valid solution for the equations of the universe as we understand them. I was very intrigued when I noticed that one of the themes his book tackles is the duration of current conditions. For example, presuming that we are neither in the first 2.5 per cent or last 2.5 per cent of our existence, we can provide with 95 per cent accuracy an interval of the possible lengths of time humanity will endure, or perhaps in this case the universe. Do you often use this logic in cosmology? That is the Copernican argument. I don’t know whether we use that particular argument in cosmology, but it relates to something else that we do talk about. The basic idea of this argument is that you are not at a special point in time. 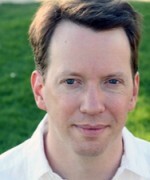 Rich uses the example that if you look at a list of all the human beings who ever lived and will ever live, and you order them chronologically by date of birth, and then watch where your name is on the list, it is extremely unlikely that your name is in the first 2.5 per cent or the last 2.5 per cent. Now, if you want to say what the upper limit is for how many people will ever live, you can say, if I’m not in the first 2.5 per cent, a maximum of 39 times more people will live after me than before me. That argument has a lot of interesting applications – he discusses them a lot both in his book and in his paper of 1993. The reason why that argument is also relevant to cosmology is that there has to be an assumption when we do observations of the universe that our observations aren’t special. That is, there’s nothing special about either the moment in time when we’re looking, or the space that we’re looking at. So when we do surveys of galaxies and look in the North, East, South, and West, and we get various specific descriptions of everything that’s out there, we have to make an assumption that what we see is basically a fair sample of what’s in the universe as a whole. Again, the assumption is that we’re not in a special place in the universe, that the galaxies we can see are not just some kind of wallpaper around us beyond which everything becomes different. There’s a historical lesson here, because way back when, we thought we were in a special place in the universe. We thought that the Earth was at the centre of the solar system, and then we thought that the sun was at the centre of the galaxy, but it turned out we were actually in one of the many spiral arms of a large galaxy. But aren’t we still near the edge of the galaxy? Isn’t that special? Well, you can always find a way in which we’re special. We clearly are special in a certain way: it is true that ours is the only planet with intelligent life in the solar system, and perhaps our sun is the only star with intelligent life for a long way away. And anyway, you could argue that it’s more special to be near the middle than near the edge because there’s a lot more edge than middle. Besides, we’re not even at the edge; we’re just sort of near it. We’re not particularly special in that respect; we’ve got to be somewhere! Anyway, we’ve learnt a lot about the world simply by demanding that there’s nothing special about us in particular. There is a historical lesson there. In what way does cosmology concern our future as human beings? Whoa, that’s a big question. There are two ways to interpret that. One is that an important part of being human is asking where we came from. Cosmology is key to understanding this: how we’ve developed from elements, the creation of galaxies, stars, and all of that. To humanity, where we are in the universe, what the nature of the universe is, and where we came from, are very important questions. The second way to interpret the question is that perhaps understanding cosmology will help us to go to other planets or develop some source of technology. That is much more speculative – exploiting cosmology for such purposes is arbitrarily far off. There are elements of cosmology that touch on particle physics, high-energy physics – all of these are interrelated. The universe is essentially a laboratory for understanding physical phenomena. This is useful if you’re looking to develop energy sources or understand how nuclear processes work. You can actually learn quite a lot: dark matter is an obvious case. 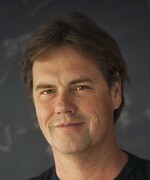 People are looking for dark matter particles in the Large Hadron Collider, for example, but they’re also looking for evidence of dark matter in the rotation of galaxies – a historical way of doing it – as well as for signatures of dark matter particles colliding with one another and creating high-energy particles out in the galaxy or in dwarf galaxies. We’re looking out into the universe to discover individual particle interactions that we wouldn’t really be able to set up here on Earth. In what order would you recommend reading these books? Well, it depends on who you are. I would start with A Short History of Nearly Everything, which gets you into context but doesn’t get into too many details, and then I would read The First Three Minutes, A Brief History of Time, and then Time Travel in Einstein’s Universe. You wouldn’t want to read that one too early on – it talks about a lot of interesting topics, but you need to understand where it all fits. I would read A Hitchhiker’s Guide to the Galaxy on the side. You can put that last, because that’s your dessert. Would you like to say a few words about your own work? Our book deals with a lot of the same issues, but we treat a lot of disparate things: the Big Bang, time travel, the search for extra-terrestrial intelligence, quantum mechanics. We do it in a very light-hearted way; there are jokes, cartoons, and all of that other stuff. Basically, a lot of it is updated from what you would find in these older books. Do you think that we still have a lot to learn from older books on cosmology? Actually, some of these books have been updated. For example, any copy of the Hawking book that you would buy now will include dark matter and dark energy. What’s amazing is that though today, in many respects, we’re closer to understanding the fundamental nature of the universe, we’re not much closer than 20 or 30 years ago as you might think. Weinberg’s book is a good example. You’d think we’d have progressed much further, but we really haven’t, with the exception of dark energy and a few concepts that are much clearer today. Most of the discoveries in the past 30 years have just been, say, finding a particle whose existence had been predicted previously. We’ve discovered the bottom quark (1977), the gluon (1979) – the fact that that wasn’t known when Weinberg was writing about the Big Bang and the creation of the first elements is actually a big deal, because it’s the mediator of the strong nuclear force – the top quark (1995) and the tau neutrino (2000). Back then, we were really ahead of experiment, but right now we have all these experimental numbers without a theory to describe them. For example, dark energy, when we try to calculate the amount of it, we get something 10^100 times bigger than what it actually is. This is one of the biggest problems of physics. There is a bunch of theories, like the string theory, or the loop quantum gravity theory, but there isn’t a theory which all scientists agree on. We’re not quite shooting in the dark, but we’re trying lots of different things to be able to find the theory of everything. Eric is a student at the Lycée Français in New York. He hopes to study astrophysics at university.